Congratulations on creating a new Tribe! Now, learn how to add members to your community. 2. Select the Tribe you would like to add members to, and click "Invite New Member". The first way is to select "Copy Invitation Link." This will copy the link so you can paste in an email, social media post, or pretty much wherever you would like to invite people to join your Tribe. Note: Anyone who has the link will be able to join your Tribe. The next way to send people an invite to your Tribe is via Facebook. 2. Select "Invite via Facebook"
3. Send your Facebook friends an invite by typing their name in the "To" field. 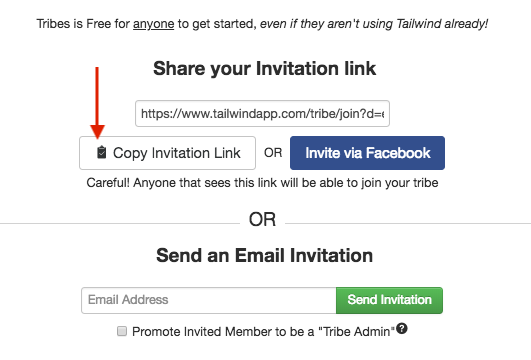 Helpful Tip: Include a message to let them know what Tribes are and why you would like them to join your community. Invite Members With Via Email. Look for "Send an Email Invitation." Enter the email address then select "Send Invitation." 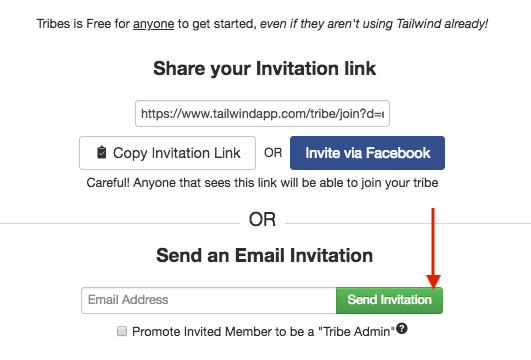 Note: Before you send the email invitation you can make that member an Admin by checking the box for "Promote Invited Member to be a Tribe Admin." 3. Once email invitations have been sent, you can keep track of them under the "Pending Email Invitations" section. As a Tribe Owner or Admin, you will be able to remove members at any time, which will remove the member and their content from the Tribe. 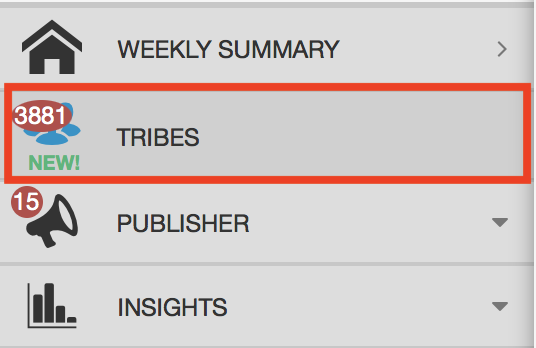 You need to be a Tribe Owner or Tribe Admin to be able to add new Tribe members.